Jacques Heynen is the CEO of Tomorrowlab. Jacques has extensive managing experience. He has been the Manager EMEA at Hewlett Packard for 16 years. Jacques was also the EVP at Belgacom. Belgacom Group is Belgium's national public Telecommunications company, and is the country's large's ISP providing Fixed and wireless Internet access and value added services. 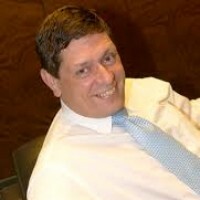 Jacques was also the President Global business development for Hitachi Consulting. Hitachi Consulting is an integral part of Hitachi, Ltd. They have a unique advantage among consulting firms in being able to draw on Hitachi, Ltd.'s powerful corporate parentage: its institutional stability, technology expertise, and diverse resources. They play a pivotal role in Hitachi Ltd.'s initiatives in the important areas of intelligent infrastructure development and social innovation.